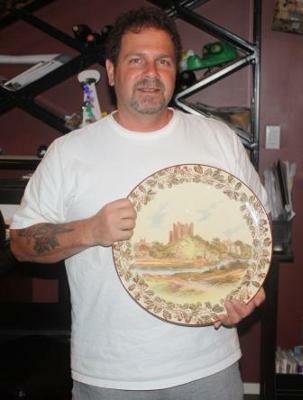 Picked up this Royal Doulton Platter while I was working construction in Northern California next door to an estate sale. The man who past away was the inventor of the tube vacuum system. I bought some of his tools and stumbled across this Royal Doulton platter which I just fell in love with. I didn’t buy it at the time but a few days later when the estate sale was complete. The organizer asked me to help him move some things in exchange for anything that was left. I was amazed to see the Doulton platter was still there, so there you have it. 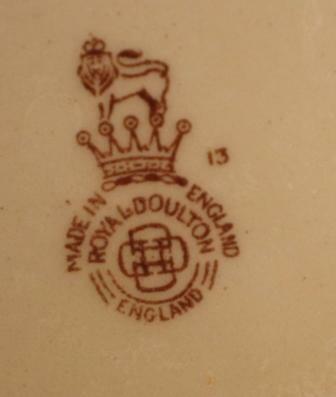 If anyone knows any history about this type of Royal Doulton Platter or what the markings mean, I’d love to hear it. I have read about the seal but can’t find information about the other markings. 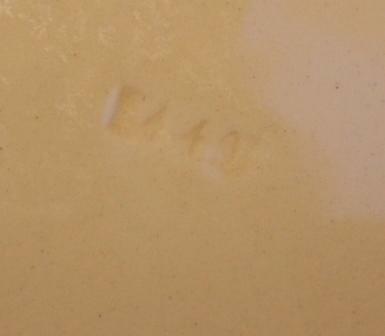 Hi, Not sure about that exact piece, however the Royal Doulton mark dates the piece between 1928 – 1932 aprox. For they used that makers mark in that period! I have a 15×19 Minton blue dagger platter from the second half of the 19th century. Would like to sell and wondering about price. 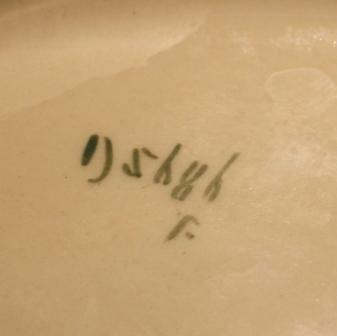 In good condition except for one small fleck on edge but does not show on front of platter. The pattern looks like it may be part of a Coulton castle series and if this is hand painted it may have the name of the castle somewhere in the artwork or on the base. Unfortunately I can’t quite make out the Doulton impressed mark.